When you are preparing to make a purchase, there are several ways to secure funds. Not all of these are ideal for investment purchases. In fact, many of them are very dangerous when purchasing an investment. Here are the top five worst ways you can finance an investment. Payday loans are a very high interest loan that offers immediate cash. The amount you have available will depend on your current income. 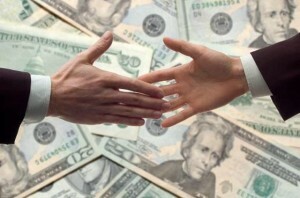 Most of the time the loan amounts are between 100 and 5000 dollars. While they can be tempting because of their immediate approval and no credit check, it is important to remember that very few offer payment plans. This means that not only will you have to have the full amount by the next paycheck; you will also have to have the interest amount as well. This type of financing is set up so people will go under if they get behind. For the same reason payday loans are dangerous, title loans are as well. They have a high interest rate and you are putting your transportation at risk. That is because to secure a title loan, you must present the title to your vehicle. If you do not repay the loan on time, or miss a payment, they have the right to take your vehicle in exchange. Credit cards are nice for emergency purchases, or to use for regulating bills. They are not ideal for financing an investment, and are often a dangerous idea. Even if your credit card does not have a high interest rate, you need to pay the entire amount off by the next billing date if you do not want to see the interest rate cause your amount to be higher. They can be difficult, sometimes impossible, to completely pay off. Credit cards should be reserved for an emergency purchase, or filling your gas tank. Smaller amounts are easier to pay off when the bill comes. Home equity loans are similar to credit cards, except you could lose your home. These loans should be reserved only for home improvements. If you use the money to finance an investment, and then you cannot make your payments because the amount is so high, the bank has the right to take your home. The prospect of living homeless is a high price to pay for an investment. Personal loans are loans that are not secured. This means that the interest rate is extremely high, and they may take a long time to pay off. When you are purchasing an investment, it pays to have collateral so you can obtain a secured loan. By the time you have paid off a personal loan, you may have spent twice as much money. Investments can offer you collateral in the future, but if you choose to go with one of these five methods to finance them, you may not make it to the future. It is important to look at the interest rate and the length of time involved when you select a method of financing.